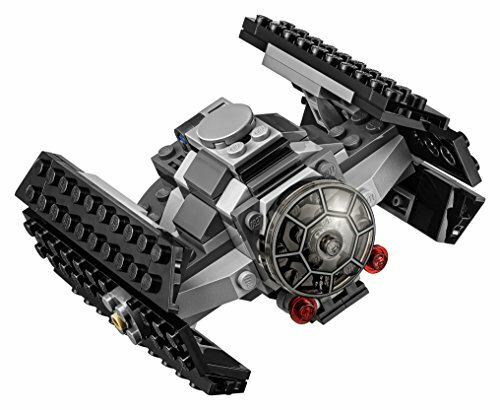 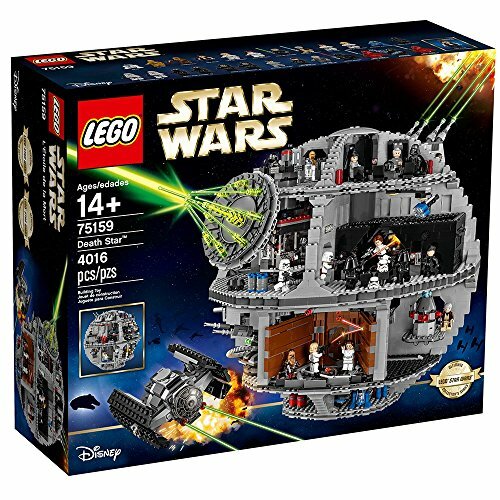 Reenact amazing scenes from the Star Wars saga with the Empire's utmost planet-zapping weapon - the Death Star! With over 4,000 items, this fantastic model has a galaxy of elaborate as well as authentic environments, including a superlaser control area, Imperial conference chamber, hangar bay with removaling launch shelf as well as Lord Vader's CONNECTION Advanced with space for Vader inside, Emperor Palpatine's throne area, Android maintenance area, detention block, garbage disposal, tractor beam, freight location, turbo laser with spring-loaded shooters as well as seats for the 2 Death Star Gunners, as well as 2 movable turbo laser towers. 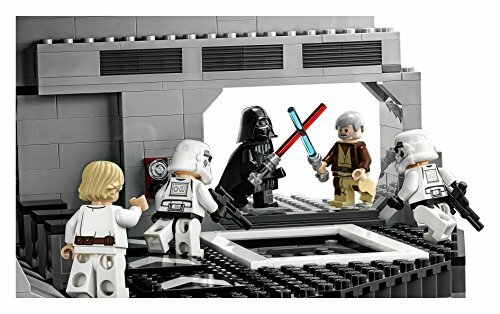 This fantastic collection also consists of 23 renowned minifigures as well as 2 Droids to ensure hours of Star Wars battle enjoyable. 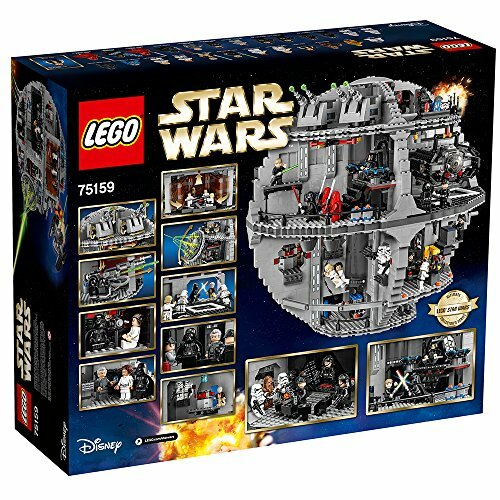 Features a superlaser control room, Imperial conference chamber, hangar bay with moving launch rack and detachable TIE Advanced with space for Lord Vader inside Includes 23 minifigures: Grand Moff Tarkin, Darth Vader, Emperor Palpatine, Imperial Navy Officer, Imperial Officer, 2 Stormtroopers, 2 Death Star Troopers, 2 Emperor's Royal Guards, 2 Death Star Gunners, Death Star Droid, Obi-Wan Kenobi, Chewbacca, Princess Leia, C-3PO, Han Solo, Han Solo (disguise), Luke Skywalker (Tatooine), Luke Skywalker (disguise) and Luke Skywalker (final duel), plus R2-D2, an Imperial Astromech and a Dianoga trash compactor monster Also features Emperor Palpatine's throne room, Droid maintenance room, detention block, trash compactor, tractor beam, cargo area, turbo laser with spring-loaded shooters and seats for the 2 Death Star gunners, and 2 movable turbo laser towers Weapons include 3 Lightsabers, 4 blasters, 3 blaster pistols, 4 blaster rifles, 2 force pikes, 2 Force Lightning elements and a bowcaster Measures over 16" (41cm) high, and 16" (42cm) wide.